The Sultan Haji Hassanal Bolkiah Masjid, also known as the Grand Mosque of Cotabato, is the largest mosque in the Philippines. The mosque is located in Barangay Kalanganan II in Cotabato City, and was funded by Sultan Hassanal Bolkiah of Brunei Darussalam. 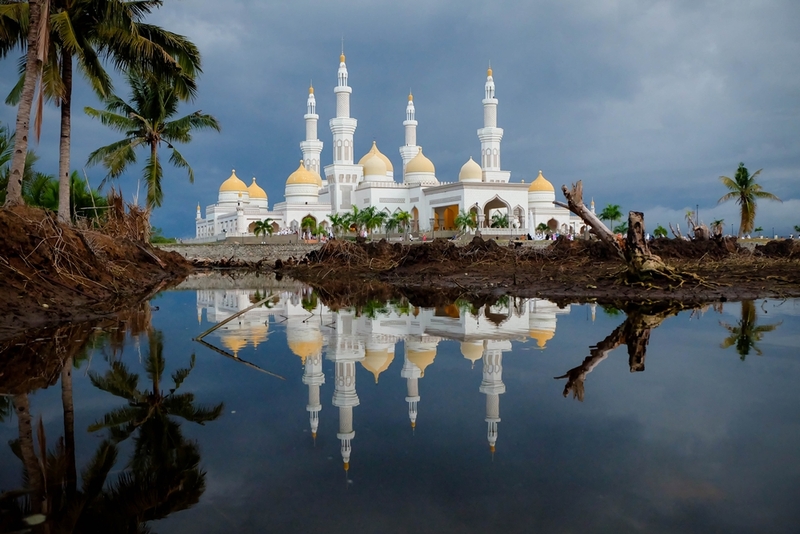 The Sultan Of Brunei, funded the construction of this mosque with his own personal money to help the emerging Muslim population in the Southern Philippines. The Sultan Haji Hassanal Bolkiah Masjid, also known as the Grand Mosque of Cotabato, is the largest mosque in the Philippines.